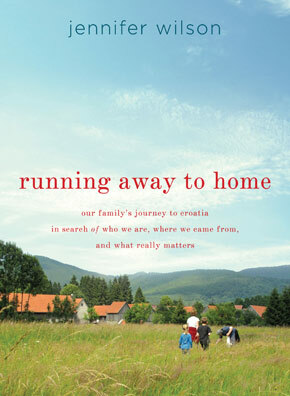 I really enjoy travel memoirs, so when I saw Running Away to Home featured in a magazine, I knew I wanted to read it. Author Jennifer Wilson is an Iowan (my current home state!) who decides to move to her ancestral homeland of Croatia for a year in hopes of reconnecting with her past and present family. I did enjoy certain aspects of the book, though it won't become a favorite. For those who plan to read it, I want to give a warning that the use of language and alcohol is quite prevalent. Of course much of it is cultural since it is a travel memoir, but the author certainly participates and even relishes her participation. (I was unaware of this when I chose the book, and want that to be clear.) Despite those pieces of the story, I think reading this kind of book is a refreshing reminder that the world is a diverse and fascinating place. Sometimes it's easy to get caught up in my own environment, and I find it fun to be "an armchair traveler." I hope that some of you will decide to take the trip with me! I certainly plan on doing a little armchair traveling with Carrie. It sounds like it's going to be a(nother) thought-provoking read! You have until Friday, February 24th to read this book. At that time I will post the concluding post for the month of February. On the 24th you will be invited to link up your post/share your thoughts on this title. I look forward to seeing what everyone has to say about this one at the end of the month! 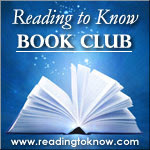 Just a reminder, feel free to pick and choose which months you would like to participate with this bookclub. You are not obligated to read along with the group every single month. Not every title will appeal to every person all year long. Just do the best you can and read as many as you like. We look forward to discussing each individual monthly title with you on the last Friday of every month. Hope you'll "play along" with us every now and again through 2012! Whether I read this one will depend on whether it is returned to our local library in time. This one doesn't appear to be one worth precious bookshelf space, although it may be a worthy one-time read. BerlinerinPoet & DoaA - I've got a copy on hold at the library too which looks to be due in the middle of the month. I'm hoping whoever is reading it finishes it early and gets it back with plenty of time to spare so that I can read it also! I just picked up my copy from the library! I had to place a hold on it as people seem to like it. Score! Got this book yesterday, so I'm ready to go.